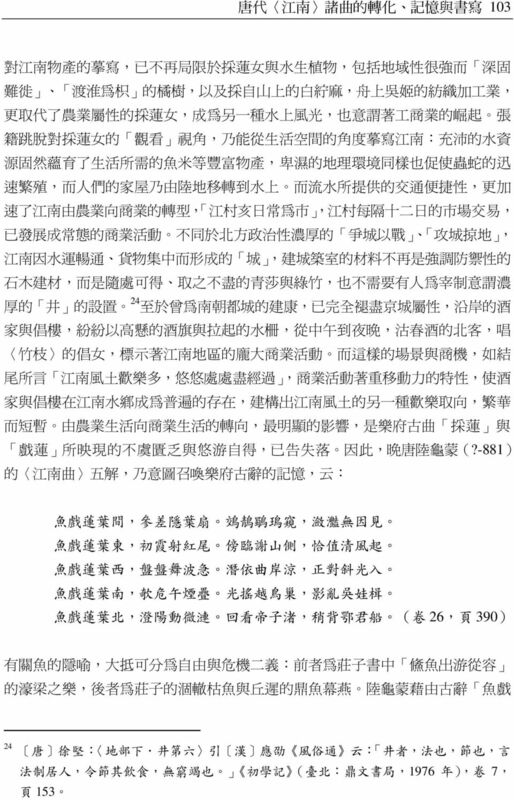 29 唐 代 江 南 諸 曲 的 轉 化 記 憶 與 書 寫 115 The Transformation, Memory and the Writing of the Poems of Jiang Nan in Tang Dynasty Liao, Mei-yu [Abstract] The essay aimed at the studies of Jiang Nan poems in Tang Dynasty. 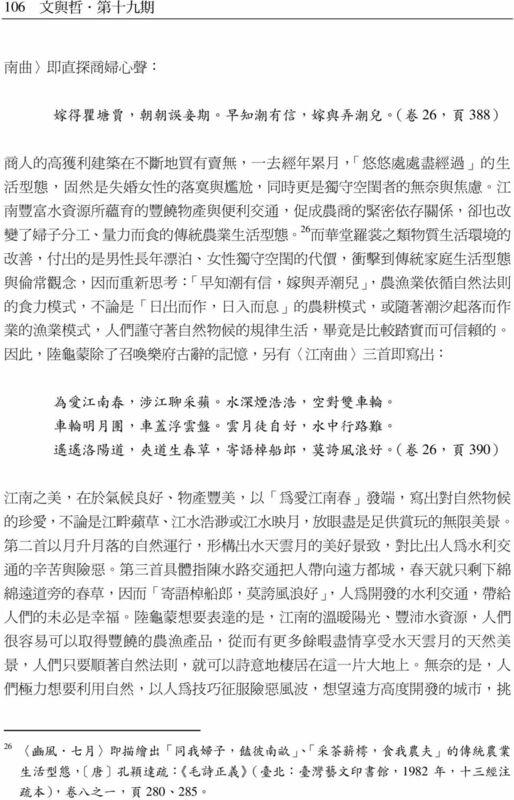 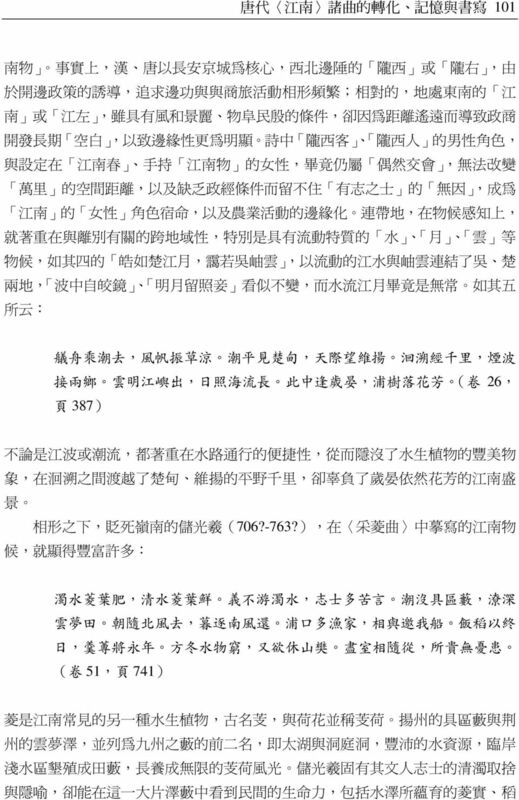 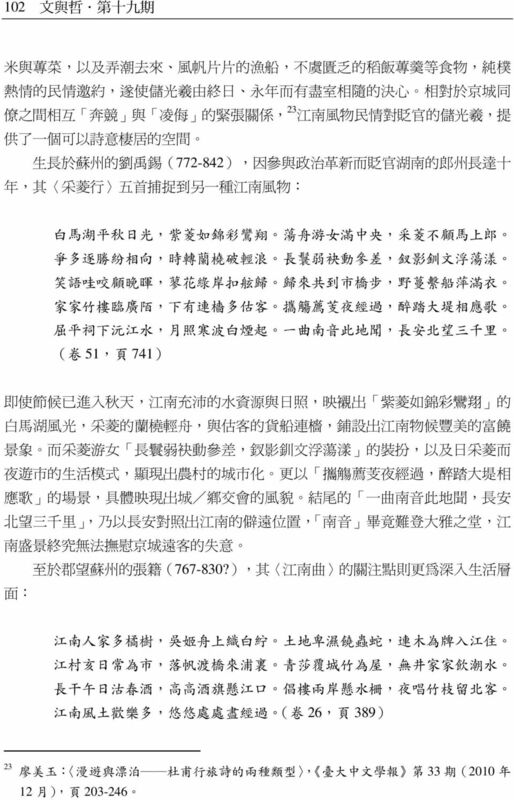 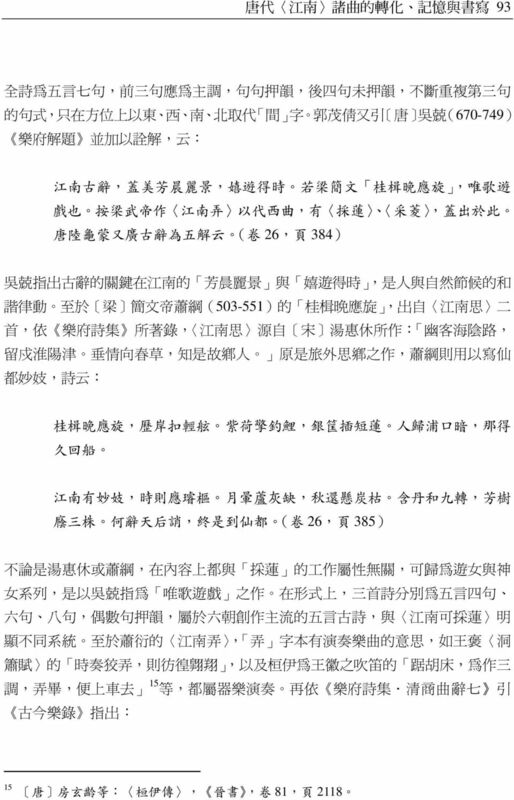 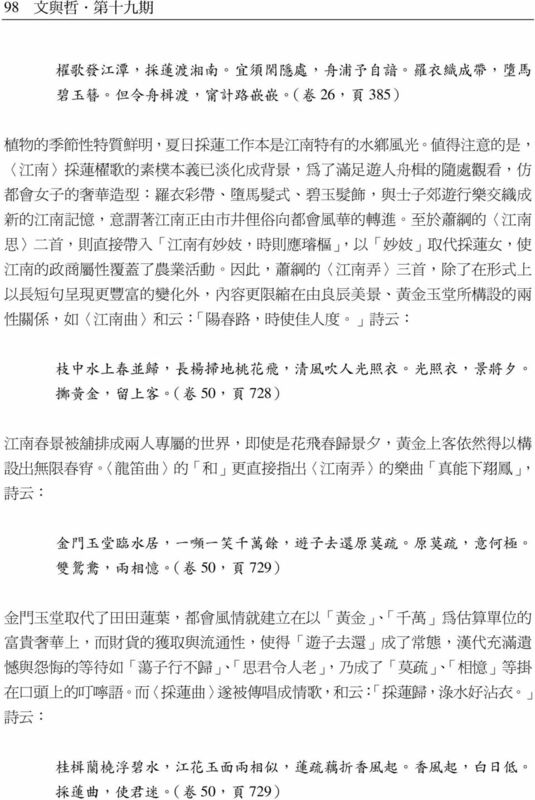 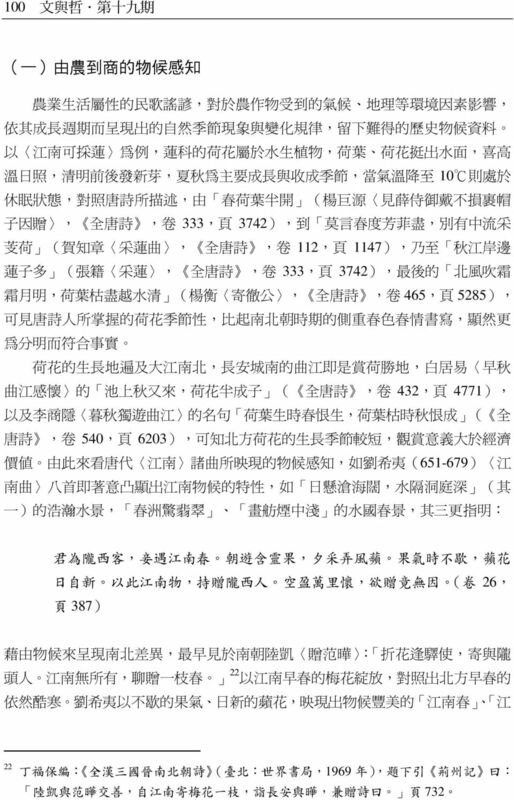 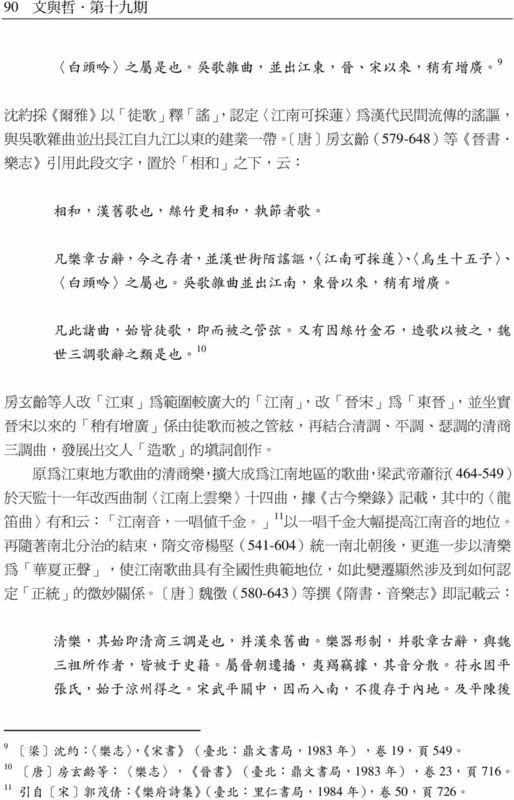 First, it illustrates the spreading of Yuefu poems and its relation to the regime. 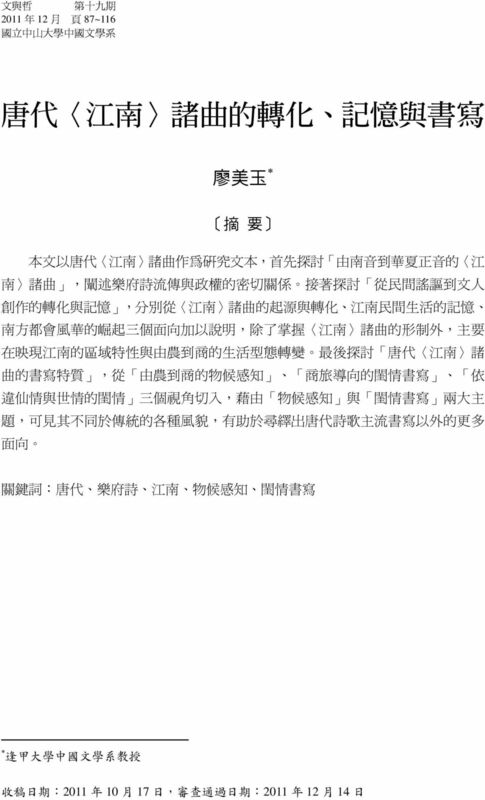 Second, it declares the transformation and memory of Jiang Nan poems from the ballad to the creative writing of literati and elaborates in three aspects: the origin and transformation of Jiang Nan poems, the memory of civil life and the rise of metropolis grace in the South. 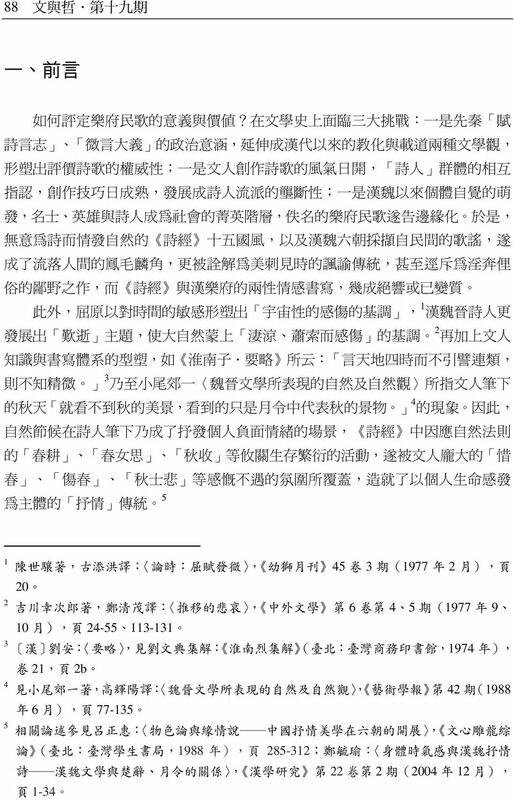 Therefore, it not only captures the form of Jiang Nan poems, but also reveals the regional characteristics and the change of lifestyle from agriculture to business of the South. 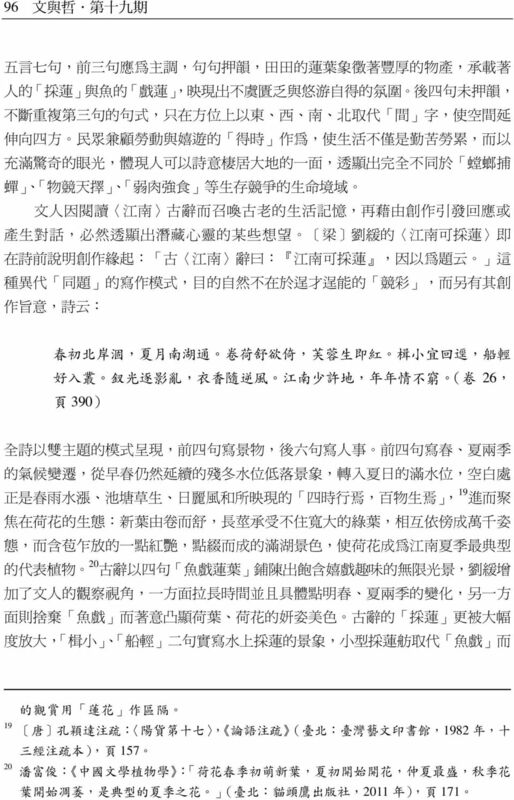 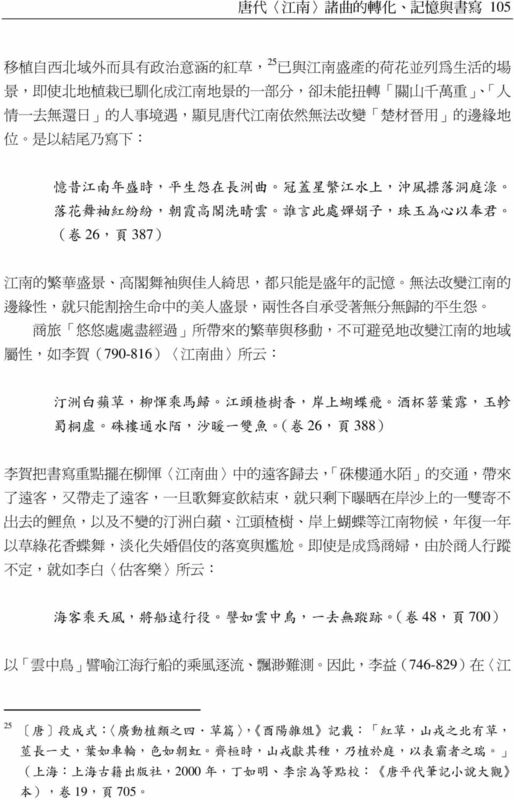 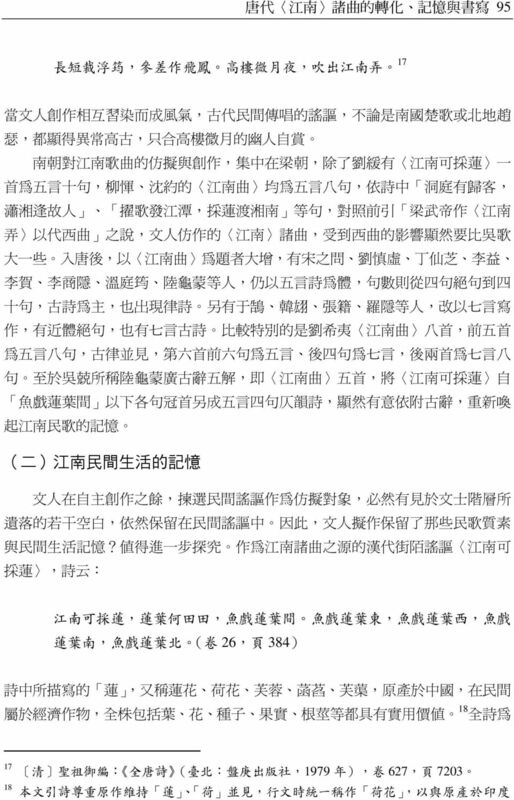 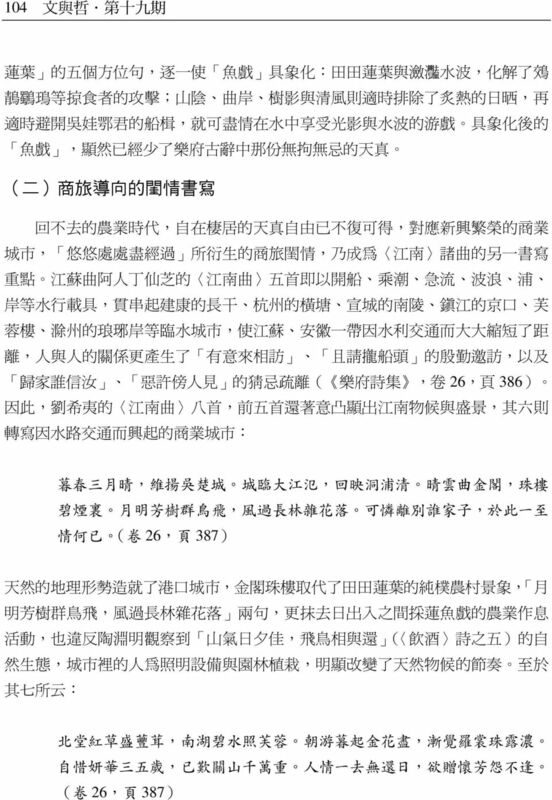 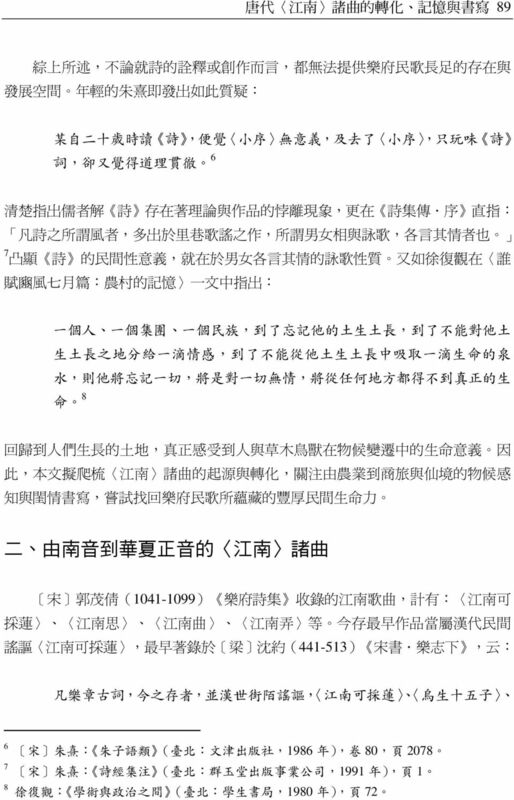 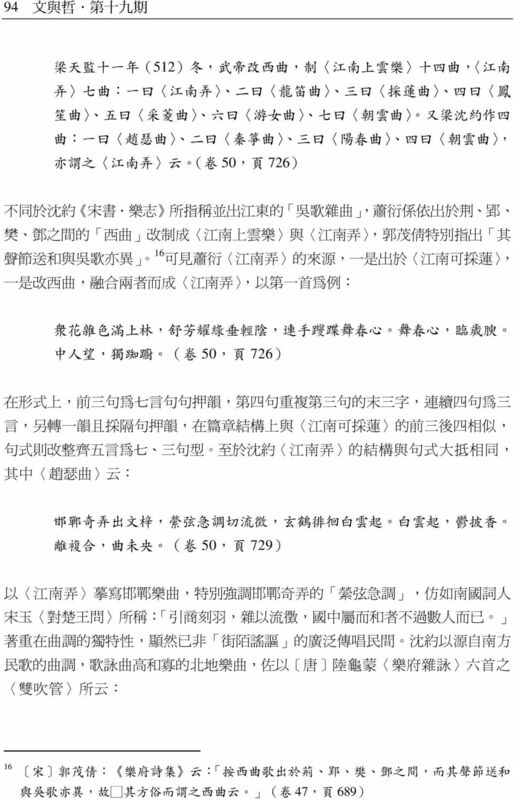 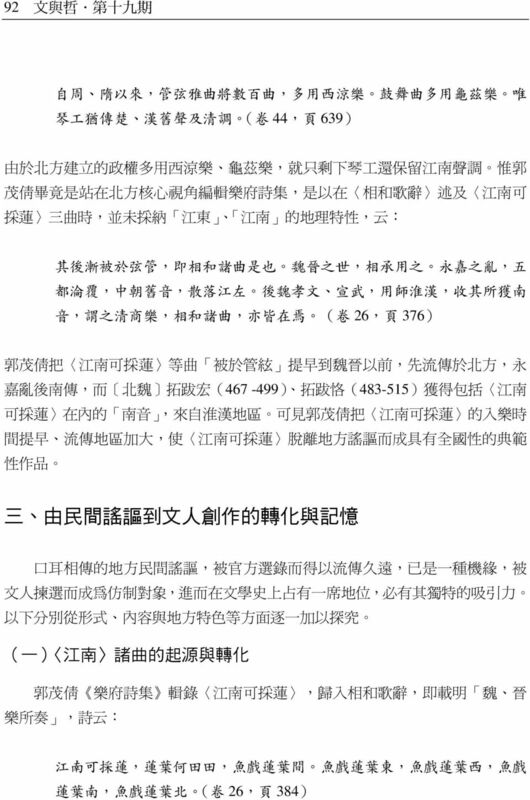 Finally, it studies the writing characteristic of Jiang Nan poems, and explores in three aspects: the phenological perception from agriculture to business, the feminine-love writing of the business travel, and the feminine-love writing between fairyland and mortals. 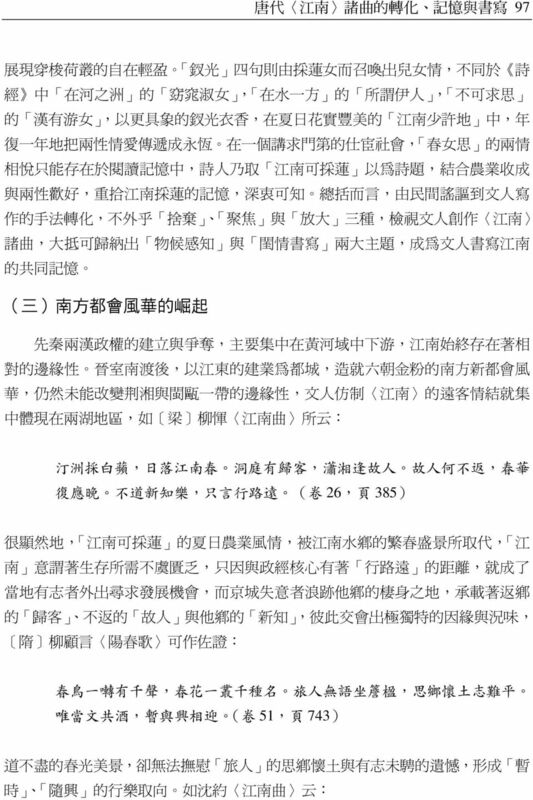 From the two main categories of Phenological perception and Feminine-love writing, we can tell that there are different styles from the tradition, and it does help us to find more aspects beyond the mainstream writing in Tang poetry. 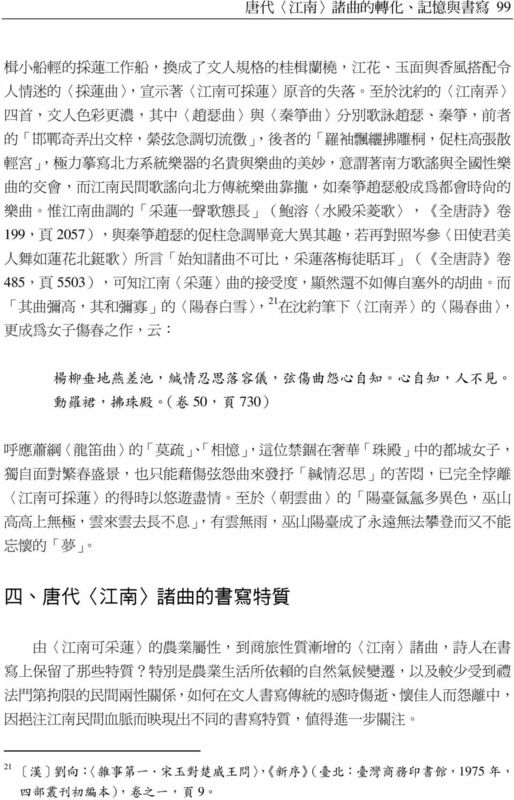 Keywords: Tang dynasty, Yuefu poem, Jiang Nan, Phenological perception, femininelove writing Professor, Department of Chinese Literature, Feng Chia University. 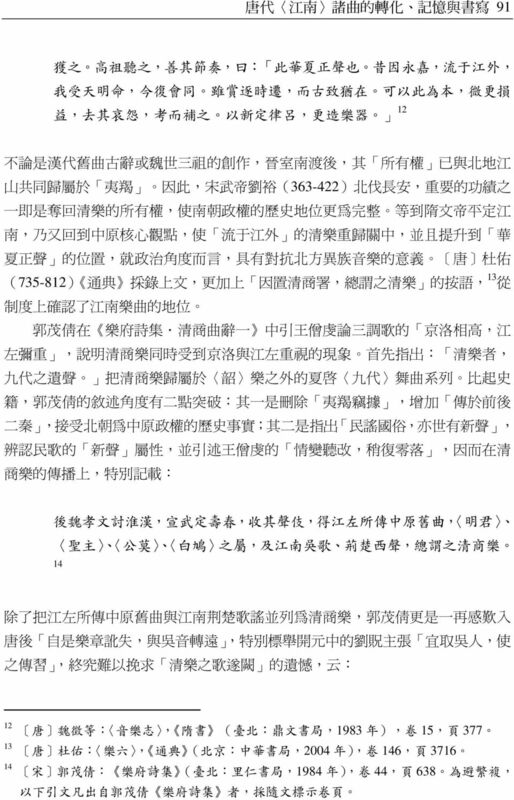 ,,,,,,, ;,, ;,, () ( ), ; ( ),,,,,,,,, ;,,,,,,,,,,,,,,,,,,,,,, 60,,,, ( ) ;,,,,,,,, ( ),, :,,,,,,,,,,,,,,,,,,,,,,,,, ;,,,,,, : :,,,,,,,,,,,,,,,,,, ( ),,( 1983 1940 ) 11 61,,,,,,,,,,,,,,, ( )!,,,,, :,,,?,,,?,,,,,,,,,?